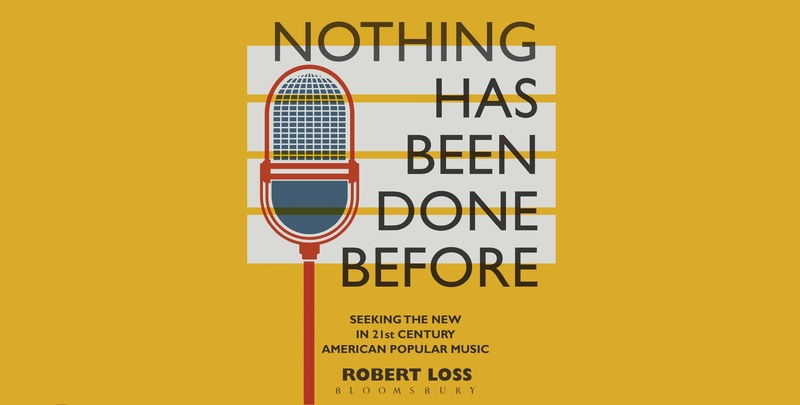 This week, we bring you posts from guest blogger Robert Loss, author of Nothing Has Been Done Before. Read on to learn what inspired him to write the book, why he thinks that there is room for newness in popular music, and how this newness can evade being defined by demands of consumerist culture in popular music. Plus! A bonus playlist to accompany the music covered in the book. For traditionalists like Thomas—and despite making self-described “avant-garage” music in Pere Ubu, Thomas is a traditionalist—the questions concerning popular music are answered before they’re asked, and no question is answered so quickly, so easily as that of legitimate newness. Is it possible? No. Case closed. Believing this requires a kind of faith that prevents one from digging deeper and discovering that meaningful newness in popular music is possible. In considering newness in popular music, one is faced with two predominating viewpoints: (1) the pessimism presented by Thomas’ statement (or by the music critic Nick Tosches when he wrote, in 1984, “To begin to see that there really is nothing new under the lucky old sun is to begin to understand the nature of popular culture and the business of fame”) which is what we might call the Ecclesiastes Argument; and (2) the boundless Enthusiasm™ about newness pushed on us by the villains Thomas and Tosches identify and defy: the music industry, advertising, capitalism, and a restless American pop culture. What’s “new” can certainly disguise what’s essentially a profitable con, but so can traditionalism and nostalgia. The last time I checked, there are cable channels devoted to infomercials selling the music of the 1960s and 1970s, and they wouldn’t exist if they weren’t making bank. The real problem is this binary of “nothing is new” and “everything is new.” Like the rockist v. poptimist argument it mirrors (with some qualifications on both sides), this dualism is an emaciated way of thinking about popular music. At the least, it’s misguided. At worst, it’s destructive. It makes people ashamed of the music they enjoy. It cuts the ties of commonality between music and listeners. It’s a dumb way of understanding history. And it doesn’t really do justice to music’s power. That’s the refusal in Nothing Has Been Done Before, the refusal to play by those binaries, and it’s probably why I wrote the book. In many ways, my book responds to Simon Reynolds’ thoughtful Retromania: Pop Culture’s Addiction to Its Own Past, published in 2011. Reynolds’ pessimism about the newness of contemporary music is much more complex than the Ecclesiastes Argument, but he does arrive at similar conclusions. He writes, for instance, that like the world economy in 2008, “music has been depleted of meaning through derivativeness and indebtedness.” That is a remarkable claim. The central argument of Nothing Has Been Done Before is that performance is the being of music, and it is this being in a field of history that gives music its potential to be new. Nothing is guaranteed. Everything depends on the creation of significant differences between then, now, and the future. Curiosity about everything in between those two ends of the spectrum is what drives this book: visions of revolution, remixes of the past, exhumations of failed promises, declarations of a pop democracy, unheard voices, voices reinventing themselves. My only significant rule was to follow the music wherever it led me. That’s why a chapter on Bob Dylan’s “Love and Theft” goes back to his 1965 performance at the Newport Folk Festival, why a section on contemporary synthwave, or outrun, recalls F. T. Marinetti’s Futurist manifesto from 1909, why, in this book, Kanye West is walking through a contemporary art museum, and why Hurray for the Riff Raff’s “The Body Electric” inevitably brings forward Delia Green and Walt Whitman. The musicians who populate this book are diverse in sound and beliefs—Drive-By Truckers, Taylor Swift, Goodbye Tomorrow, The Wrens, Janelle Monáe, LCD Soundsystem, Devendra Banhart—but I take them to be artists who have struggled like every other artist to find something new in themselves and their work. At the same time, I account for various models of the new, many of them drawn from the world of art and philosophy. Michael North’s useful distinction between historical methods of recombination and recurrence in his 2013 book, Novelty: A History of the New, forms an important foundation. So, too, does the concept of the “cultural economy of exchange” theorized by the philosopher of art Boris Groys in On the New. Then there’s the most radical kind of newness, the “event,” a central principle in the philosophy of Alain Badiou. They share space with astute critics like Greil Marcus, Reynolds, and the great Ellen Willis, the poet Charles Bernstein, and the words of the musicians themselves. 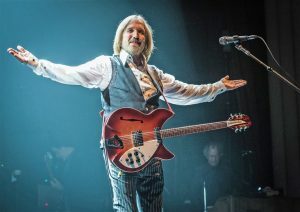 What I’m hoping is that Nothing Has Been Done Before resets, enriches, and reinvigorates our cultural conversation about popular music and the question of the new. If we can begin to think differently about music, we might begin to hear it differently. To purchase Nothing Has Been Done Before, visit www.bloomsbury.com.